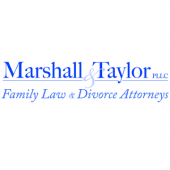 Fathers’ rights are a controversial topic in family law today. Some people feel that family courts have become biased against fathers in recent decades, while others maintain that this so-called bias has been greatly exaggerated. However one feels about the matter, it is hard to deny that fathers face certain unique issues related to child custody and care. If you are a father, or if you are facing a paternity suit, you need to be fully informed about your legal rights and responsibilities. Raleigh fathers’ rights lawyers [firm-name], have the experience and legal insight needed to protect your rights. Call our offices today at 919-833-1040. These are all complex legal issues that are often further complicated by personal details and emotional turmoil. We want to make this difficult time a little easier for you by taking on the details of your legal struggle so that you will not have to. With years of experience practicing family law, we know what it takes to build the legal case you need. Raleigh fathers’ rights lawyer [firm-name], are ready to fight for you. Contact our offices today by calling 919-833-1040.